Only 47 days left until Larry Durrant's execution, but lawyer Lac McElroy is determined to save his client's life. Ascension Day is like a narcotic, laced with danger, and totally addictive. Impossible to put down. This is what thrillers are meant to be. Jac McElroy is a character I want to read more of. - Jon Jordan. Crime Spree Magazine. 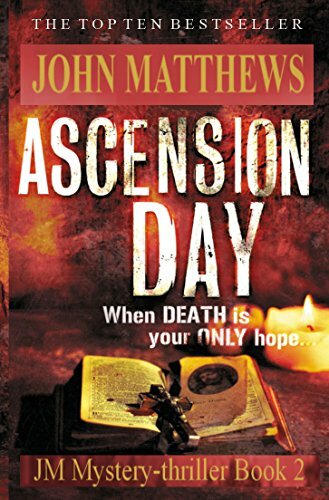 'Matthews certainly knows how to keep the reader hungry for the next revelation'. Goes to the wire... a gripping thriller. - Bob Burke. Mystery Readers International.